Can you explain the project? The aim of LearnAsOne is to fund schools in Africa. From 11-22 May we will be in Zambia for the first time documenting live from a community who need a school via Twitter and photo-led blog posts. The idea is to give members of the community the opportunity to tell their own stories so you get to meet the people who need your help. How have you raised the money for it? We’ve raised a small amount of money to fund the trip through some traditional fundraising such as bike rides, cake sales and in partnership with Bucks New University Students Union. But LearnAsOne really starts when we get to Zambia. 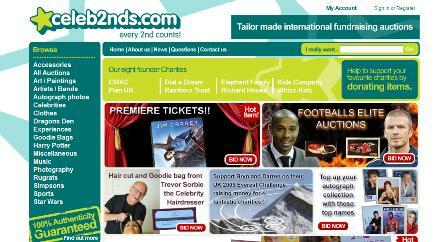 We want to use our website and social media to show people what their money will fund and who it will benefit. Then they can decide if they want to donate. How will you be using Twitter and blogs once you are in Zambia? We’ll be using Twitter and our blog to share stories from the community and give people the opportunity to ask members of the community questions. We are aiming to provide updates every day throughout the trip. How successful have you been in promoting the project through Twitter? What Twitter had been really useful for so far is connecting with people who I would never otherwise have met. People like yourself which has led to this opportunity to share our story with all your readers, as well as @sarahprevette (organiser of the Toronto Twestival) who has introduced me to some amazing social entrepreneurs who are now helping to spread the word about LearnAsOne in Canada and the US as well as the UK. The next step is to start sharing stories from the community when we are in Zambia and see how the Twitter universe reacts. Any tips for other charities? What has worked for you on Twitter? I got a great bit of advice when I signed up for Twitter. Make sure you tweet as a person, not an organisation. This has helped me to enter into a dialogue with supporters and get feedback on ideas such as our banner ads. Over the next few weeks I’m really excited to see how well Twitter works as an interactive story telling medium. What other social media sites are you using? We have a fan page on Facebook as well. It’s simply a case of what tools are right for what you are trying to achieve. Twitter is great for conversations so it’s an ideal way for potential donors to ask questions while we are in Zambia. Our Twitter feed can be published all over the web: on our homepage, in one of our banner ads or even within Facebook, so it’s a great way to share stories. And Twitter can be updated via SMS so it provides a way to send updates from remote regions. How else have you promoted the project? Talking to friends, and friends of friends about the story, going to events and meeting bloggers and speaking to members of the press. Mainly simple, low cost ways of spreading the story, like designing banners for people to embed on their sites and uploading a trailer for the trip onto YouTube. You also recruited your team online – how did you go about this? Our Zambia team consists of myself and three self-funded volunteers: a TV producer, journalist and photographer. We wrote a tailored landing page for the trip and advertised in various places around the web at no cost. We’ve had approaches through Facebook, Google, forums and even Flickr.